The owner of this Ferndale house went all out with a Seahawks color scheme after replacing her siding last summer. Apparently she started attending games as a kid with her grandparents who were season ticket holders. Tour the inside of the house here (even her coffee maker is blue and green...). 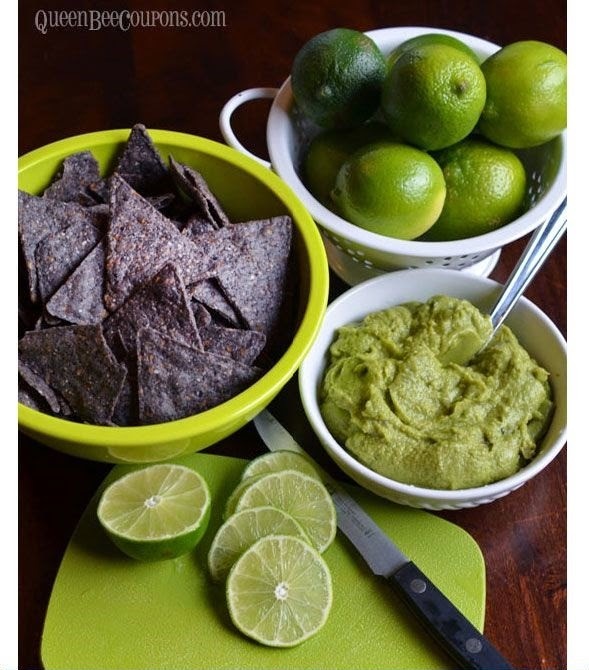 For those of us who are big Hawks fans (but perfectly content with our our non-themed home exteriors) why not contribute one of these team-appropriate snacks to Sunday's Super Bowl party spread? 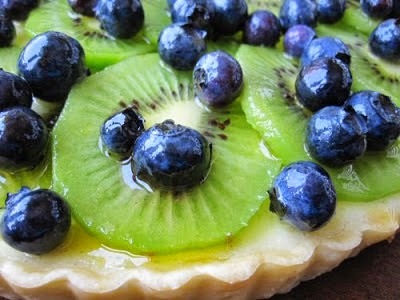 First up: Kiwi and blueberry tart. Note this could easily be adapted to something much faster, like fruit skewers! 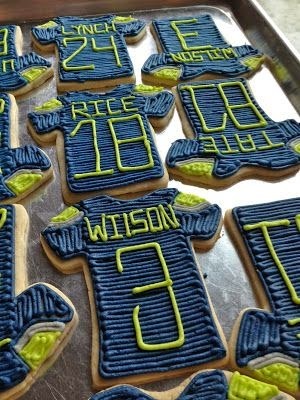 And if you have a bit more time (and can bake) these cookies are so great, each with a different player's jersey. These would be a hit with the kids for sure. Have a fun weekend and GO SEAHAWKS! !